Frankfort, Kentucky — The governor of Kentucky recently vetoed a bill that was designed to protect religious freedom in the Bluegrass State, remarking that it raised concerns over potential ramifications, such as public safety and homosexual rights violations. Governor Steve Beshear, a Democrat, rejected The Religious Freedom Act on Friday, releasing a statement following his decision. The legislation, HB279, created a provision for people of faith to be exempted from certain laws if they conflicted with their religious beliefs. Beshear had reportedly been under significant pressure from homosexual groups, as well as other social justice organizations, to reject the legislation because it could undo the state’s anti-discrimination law as it relates to the treatment of minorities. They also contended that certain individuals could be denied contraceptives or other abortifacients due to the the religious convictions of business owners and/or their employees. The Kentucky Commission on Human Rights was one of a number of outspoken opponents of the bill. The bill originated as a response to the abortion pill mandate in Obamacare, and served as a way to protect the right of conscience, but is believed to have developed into a much broader statement. Catholics for Fairness, the Kentucky Religious Coalition for Reproductive Choice, Parents and Friends of Lesbians and Gays, Lexington Fair Housing Council, Kentucky Feminists United and Louisville Atheists and Freethinkers were among the groups that had urged Beshear to veto the bill. However, the legislation received tremendous support in both House and Senate, as the Democratic-controlled House voted 82-7 in favor of the bill. The state Assembly likewise overwhelmingly approved of the measure. 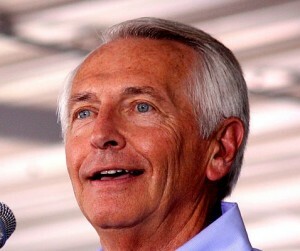 Following Friday’s decision, he vowed to override Beshear’s veto.